Hello, my name is Paige, and I'm a LOST fanatic. (HI PAIGE!) I'm so excited for the sixth and final season to start on February 2nd at 8/7 central. What I love about this show is nothing is certain. Lots of people have died/been killed off, but that doesn't mean they can't come back. Here is proof: This is the official season 6 poster. And almost every important character ever to appear on the show is on the poster, irregardless of whether they died and haven't been on the show in a few seasons. From left to right: Faraday, Boone (long time no see! ), Miles, Michael (where's Walt?? Waaaaaalt!!! ), Ana Lucia ("Guns don't kill people, Ana Lucia kills people. "), Charlotte ("I can't eat chocolate before dinner! "), Lapidus, Shannon (I still can't believe she played a 17-year-old in the movie Taken), Desmond ("See ya in anotha life brotha. "), Mr. Eko, Kate, Jack, John (the only person with his back to the front, what could that mean...? ), Ben ("My name is Henry Gale! I'm from Minnesota! "), Sayid, Penny or is it Libby (?? ), Sun, Jin, Claire, Hurley, Richard, Charlie, Burnard, Rose, and even the dog Vincent. Any other LOST fans care to share in my excitement? Eeeeeeeeeeeeeeeeeeps! Charlotte: "I'm not ALLOWED to eat chocolate before dinner." lost is my all time favorite show. my fav character is desmond, sawyer and faraday. i have more, but they reside in my top 3. i am dying with curiosity about all of the info that may or may not be revealed. j.j. abrams always brings the goods! I am so with you! 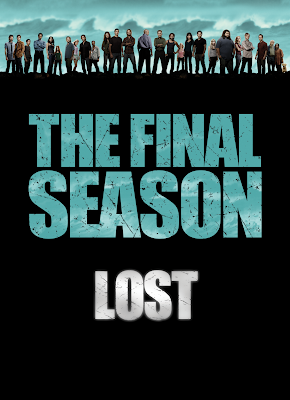 My husband and I fought the tides of Lost forever, but watched five seasons in just as many months. Life just hasn't been the same since. Gotta say, Flash Forward is cool, but not as cool. Right? I can't wait!!!! I just want to see how they will explaing everything! I love Desomond and look for any opportunity I can find to say "brotha" in conversation. My sister-in-law and I call each other at the commercial breaks if something outrageous has happened. I can't wait for it to be back on! The One with the 500th Post Winner!